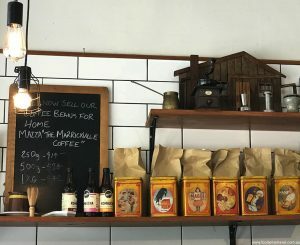 Bespoke And Grind, Marrickville, Sydney. “Mazza” Coffee and Chocolate Hazelnut Brownie. Bespoke & Grind is a small café with a big personality. 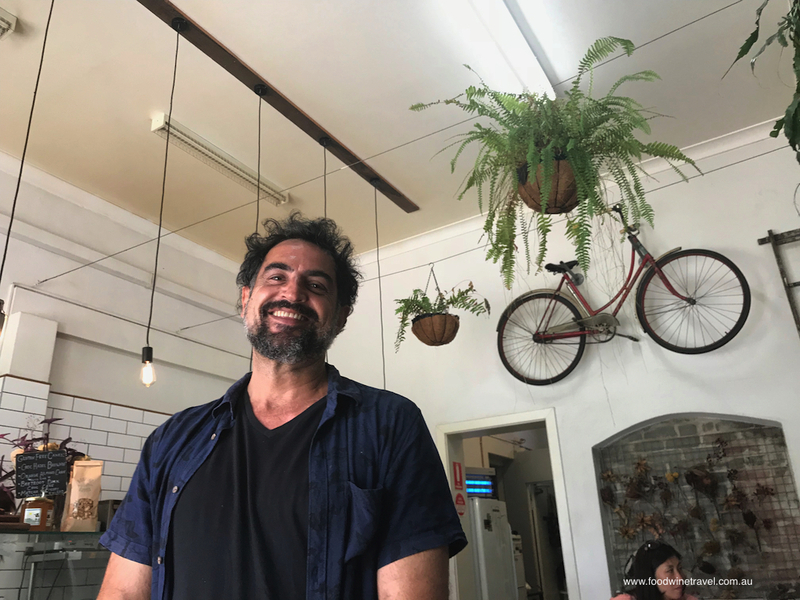 Located opposite Sydney’s Marrickville Park, its décor is eclectic, with a ladder and a bike hanging on the wall, dried flowers, and wooden boxes hung as shelves displaying coffee and honey (both products that the café sells). It’s comfortable, relaxed and friendly. Proprietor Stacey told us they roast their own beans; the care that goes into this enterprise was obvious in their signature “Mazza” blend. It was strong and smooth, and served at a perfect temperature. 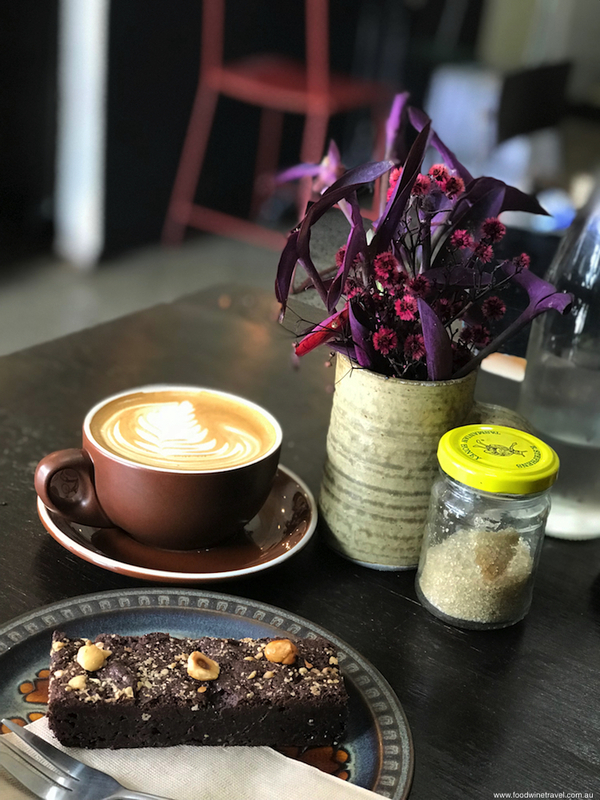 A great place to stop for breakfast, lunch or coffee, Bespoke & Grind has a few tables on the footpath overlooking the park, and a handful of tables inside where you can relax with the newspapers provided. It was easy to find a parking spot right across the road. The menu looked good with free-range eggs and a decent selection of light dishes, but we headed straight for the baked treats: an almond and orange friand for Maurie, and a chocolate and hazelnut brownie for me. Very welcoming with a good neighbourhood vibe, Bespoke & Grind ticked the boxes for us. Thank you, Chelsea. Hope you enjoy it too. 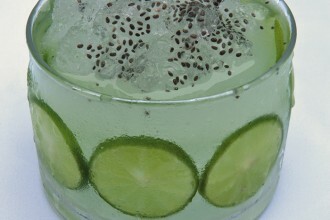 LIMA The Cookbook, and a recipe for Iced Lime & Chia Smoothie.